If you want to have a lot of fun at your wedding shower, you and the rest of your girl gang should enjoy these great bridal shower games. To make it more exciting, you can give out prizes for the girls. If you decide to play these, don’t forget your camera! Ah, toilet paper! You are a multi–tasker. The go-to of Halloween pranksters and a tried-and-true item for baby showers faux cake, it is also very popular at wedding showers. The goal is to dress the bride in a gown made of toilet paper. 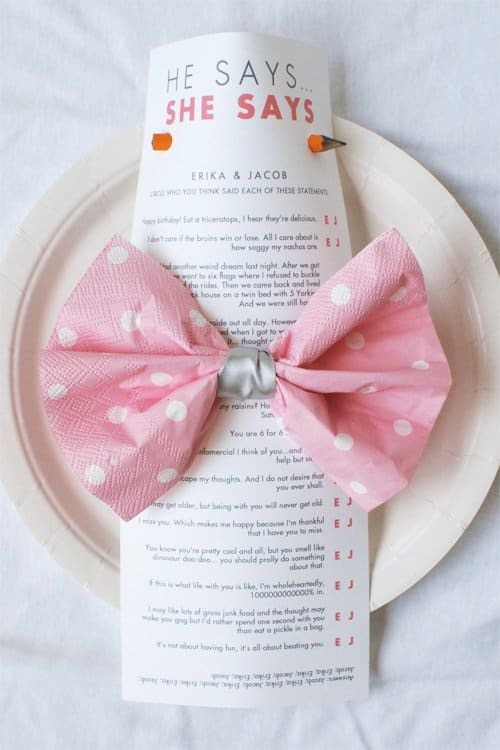 For a unique twist on the game, Beau-Coup.com (@beaucoupfavors) suggests using newspaper instead. The girls are partnered up, and each group gets a roll of toilet paper. One of the girls will be the wedding dress “designer” and the other will be the model. Using the toilet paper, the designer must create a wedding dress for the model, complete with veil and flowers. Whoever creates the most beautiful dress gets to choose a prize. Tip: This is a game best played indoors. But if you must play outdoors, lay a plastic tarp or tablecloth on the ground to avoid rocks, sticks, and dirt. You’ve garnered an invitation to the shower, and likely to the wedding. It’s safe to say, then, that you know the couple quite well. Do you know them well enough to win a trivia game about them, though? This is the premise of Wedding Shower Trivia. Make up around twenty questions for the guests to answer about the bride, the groom, or both. PunchBowl (@punchbowl) suggests scoring them halfway through the gathering. It’s easy to play this game using old Facebook posts from the bride and groom. 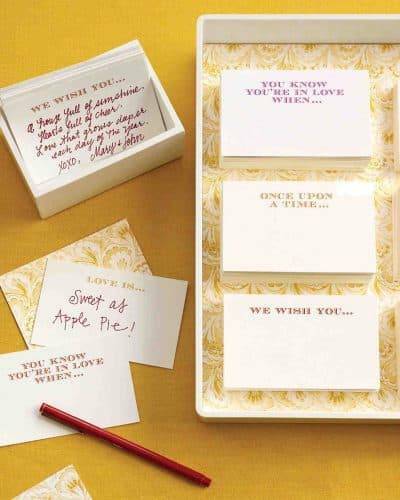 Create a list of quotes and make the girls guess which one said it – the bride or groom. The one who gets the most right answers gets to choose a prize. Tip: Avoid this game if you all know each other well, such as a couple having grown up together and their life-long friends. It’s no fun if everyone already knows the answers. 3. Who Knows the Bride Better? This fun game is another questionnaire in which the girls are asked questions about the bride. This could include things like, “Who was the bride’s first kiss?” or “What is the bride’s favorite perfume?” Create several of these questions and whoever gets the most right gets to choose a prize. 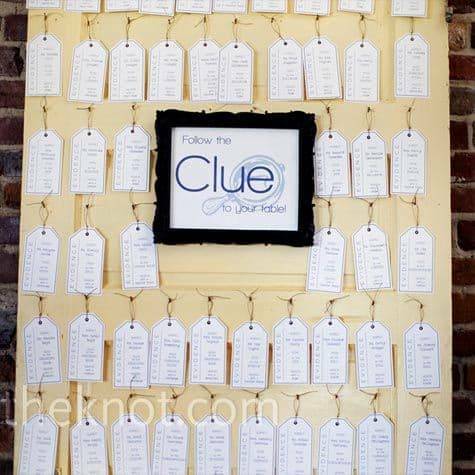 Both a cute seating arrangement and game idea, this can be used to seat the bridal party with members of the groom’s party they may not know yet. A Bride on a Budget (@abrideonabudget) has a list of couples to get you started. 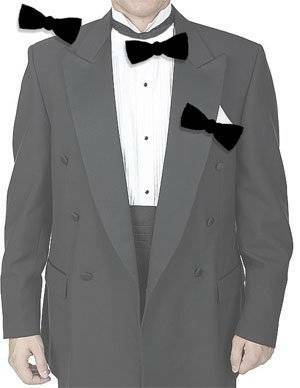 You can even make a theme out of it, such as famous Disney couples or old Hollywood couples. 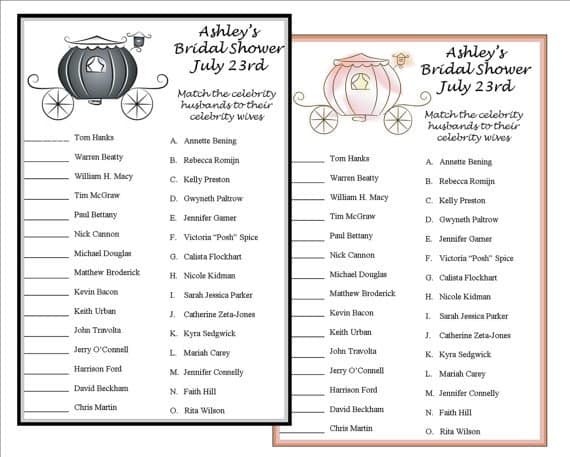 A Mad Libs take on the traditional shower guest book, this encourages your guests to “anonymously” write down their best wedding advice for you using the classic “fill in the blank” trope. ALDevents.com (@ALDevents) suggests using colorful pens on note cards. Tip: If your shower is being held outside, bring a pocket-style photo album along to store the cards, both before and after filling them out. This will keep them from being blown away by a gust of wind, as well as providing a cute guest book when you’re finished. Watching someone else open gifts can be rather dull. Martha Stewart Weddings (@MarthaWeddings) to the rescue with this cute gift bingo game! 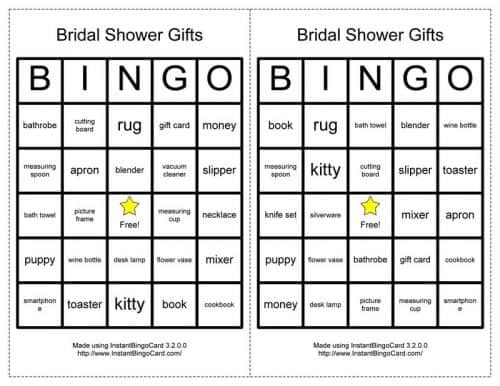 The premise is to make bingo cards using the bride’s shower registry. Guests mark off the appropriate spots as she opens them, and the winner gets a prize at the end. Tip: If the bride does not have a registry, but still wishes to have this game, write down what she hopes to get, or use a registry example from a local store or event planner. Did you know this wasn’t just an old TV game show? Lisa Hadley Studios (@lisalisa04) has a list of questions to ask the groom if you need help getting started. Tip: If you don’t have access to a large enough screen to broadcast a video of the groom’s answers on, try the more traditional route of having the groom in the room while you play. You can separate the couple with a curtain, or have them face-to-face beside each other. Pictionary can be a fun, challenging way to pass the time at any gathering. For a thematic twist, take a page from The Knot (@TheKnot) and use wedding-related sayings. Tip: Playing outside? Use clipboards to keep your papers from blowing away and a fish bowl to keep the sayings in their place. A literal take on the old wedding joke, DIY Network (@DIYnetwork) brings us this aptly named game. Foam balls tied together with string and spray painted to resemble their namesake are the only things you really need for this one. Tip: If you have enough space and non-inclement weather, this game is best played outside. A perfect ice breaker, this game gives the guests a chance to get to know each other. You can start the game with something like “Who introduced the couple?” Wedding Paper Divas (@weddingpaper) share their ideas on the game here. Tip: Although this game can be played indoors or out, playing it indoors can allow for you to recreate the classic board game at the same time, if you wish. Remember Pin the Tail on the Donkey at childhood birthday parties? Here’s a bridal twist on it for you, from Giftypedia (@giftypedia). 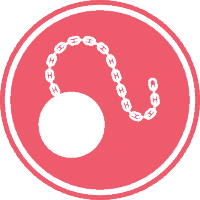 You can spin the game however you like – use a ring instead of a tie, or a picture of the bride and a veil. Tip: Play this game outdoors for more hilarious results as your guests try to pin the item to the photo blindfolded! In this game, everyone’s a winner! As Diva Girls Parties and Stuff (@divagirlparties) explains here, you wrap a small pile of gifts. Have your guests sit in a circle, and read a story about the engaged couple. 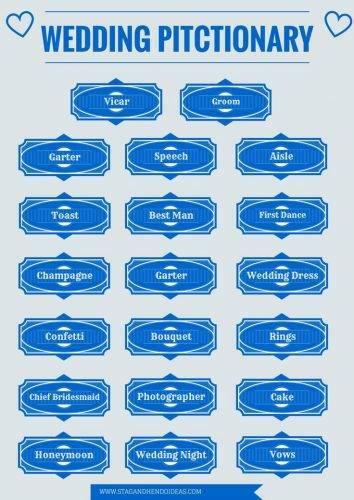 Pick a word, such as the bride’s name, and when that word is said, everyone passes their gift(s) to the left. Pick another word for the right. At the end, whatever gifts they hold are theirs to keep! Tip: If you have a large group, this would probably best be done outside. 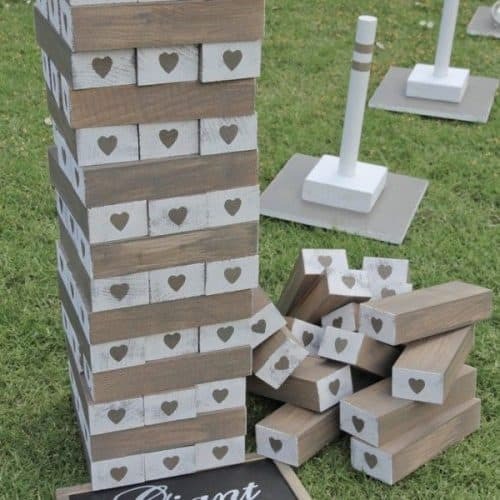 I love Jenga, and have honestly never heard of this life-sized version before. Now that I have, I’m hunting for my next reason to play it! As Inked Weddings (@inkedweddings) shares, you’ll need to do a little preparation for this game. Guests will have a ball with it, though, so it will be well worth the time to set up. Tip: Not doing an outdoor shower? Simply use an original version of the game and have your guests sign a piece of the game instead. 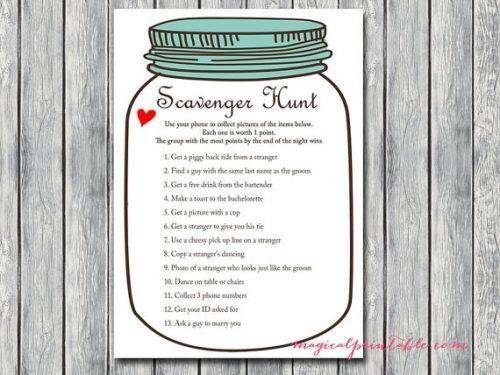 Scavenger hunts are a favorite party game stemming back to our childhoods; why should a wedding shower be any different? This will, of course, take some planning, as Wedding Whoop (@weddingwhoop) reminds us, so don’t leave it to the last minute. You can do a general wedding theme, or something unique to the engaged couple. Tip: Although scavenger hunts are usually played outdoors, they can also be played indoors easily. Leave your game adaptable just in case! I’ll take “How Did They Meet” for $400, Alex. Purple Trail (@purpletrail) details how to turn the classic TV game into a fun-filled wedding shower game here. Tip: Play this game indoors if you can. 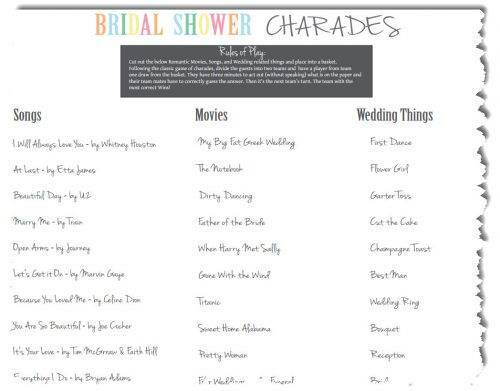 The famous mime game comes to your wedding shower with romantic themes, like the Romantic Comedies theme suggested by MyWedding.com (@myweddingdotcom). Not a fan of romantic comedies? Use romantic book heroes, or perhaps famous love poems instead. Tip: Play outside to avoid potential injury if your guests get a little carried away. Romantic dive from Dirty Dancing, anyone? 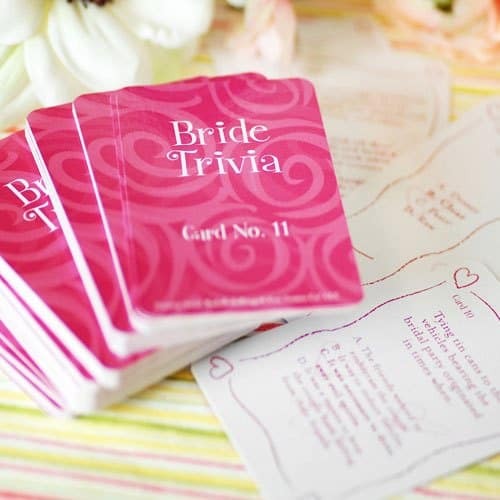 These are just some of the fun and classic bridal shower games. Hopefully, playing these games will give everyone a chance to get something really cool to take home from the wedding shower. 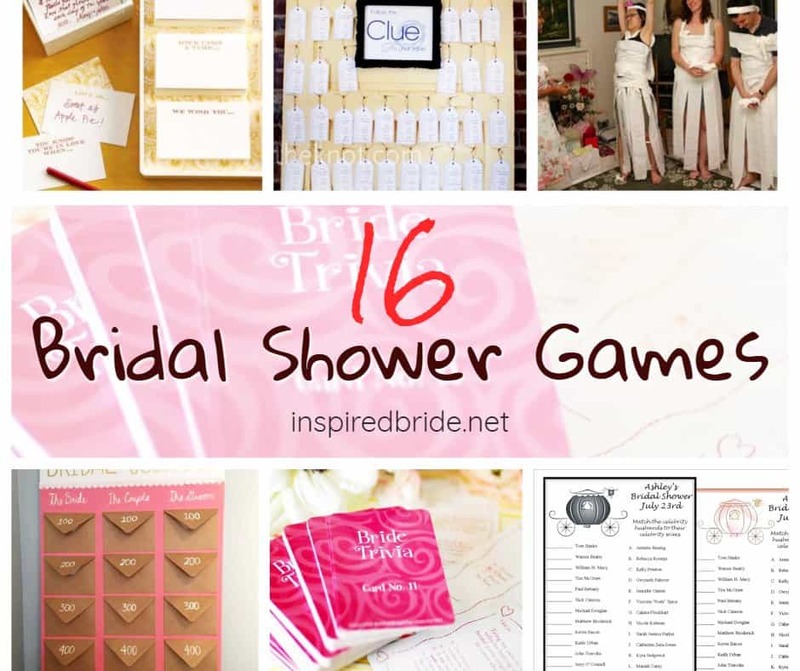 I enjoyed finding bridal shower games for you! 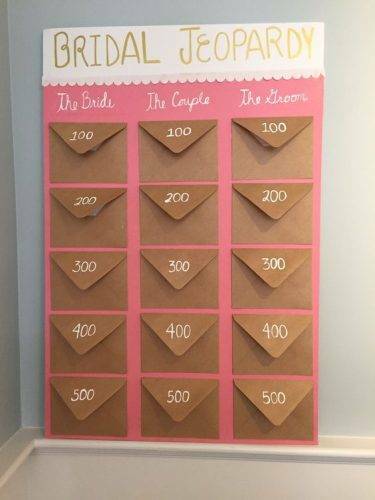 Comment below if you are playing any of these bridal shower games.